On Thursday 22nd November we were extremely lucky to welcome the Healthy Chinese Cuisine ambassadors Kelly and Meline to Cranbourne. They delivered fun packed informative lessons to three groups of students across both key stages. 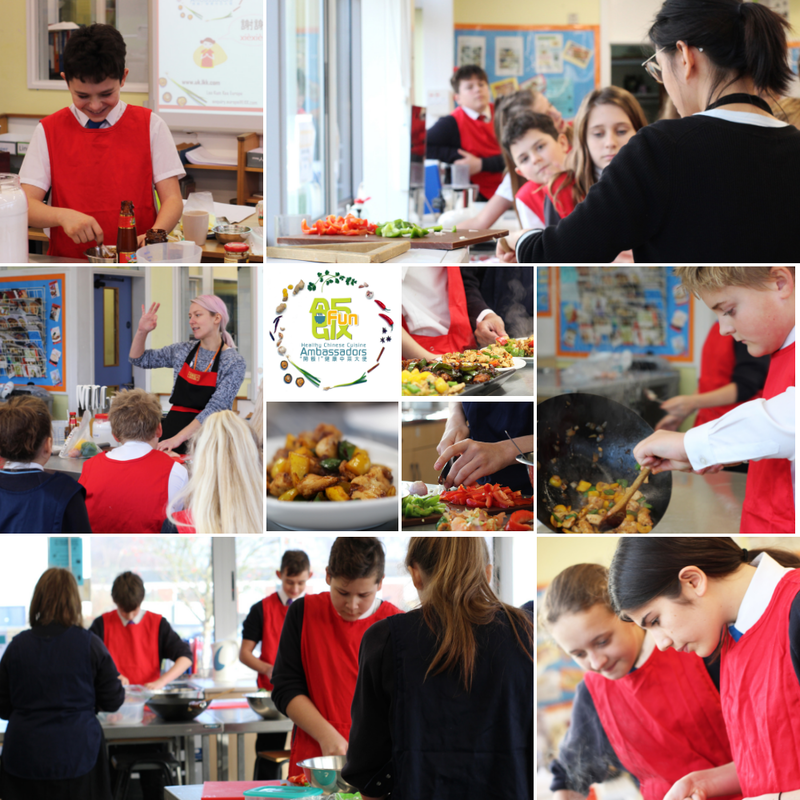 With an emphasis on understanding and enjoying Chinese cuisine, encouraging students to develop their cooking skills, create their own recipes, and to cook and eat healthily. Nearly 50 of our students were included in these sessions. First group to enjoy this were the year 10 Food nutrition and preparation students. The other two practical sessions were enjoyed by two mixed groups of KS3 pupils. All groups cooked Black bean chicken. It was presented well and tasted delicious. The whole school was permeated with the delicious aroma of the dishes all day. Our students were a credit to the school and I was personally proud to bring this company to deliver this unique experience at our school. Lauren: I never really liked soy sauce until I tried it and now I am obsessed! I actually really liked the chicken and it was interesting to watch them cook! Libbie: when we found out we were cooking black bean chicken I did not think it was going to taste very nice but I take that back! It tastes amazing! Sophie: it was gross cutting up the chicken but it actually did not taste too bad. I would definitely try it again!